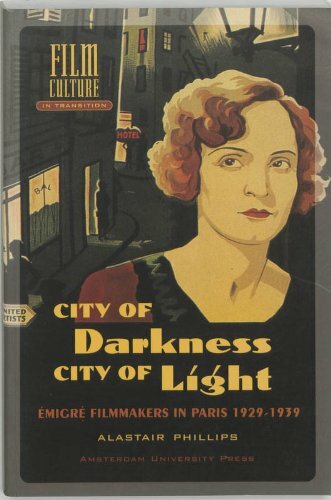 Synopsis: The volume is the first-ever book-length study of the cinematic representation of Paris in the films of German èmigrè filmmakers, many of whom fled there as a refuge from Hitler. In coming to Paris—a privileged site in terms of production, exhibition, and film culture—these experienced professionals also encountered resistance: hostility toward Germans, anti-Semitism, and boycotts from a French industry afraid of losing jobs to foreigners. Phillips juxtaposes the cinematic portrayal of Paris in the films of Robert Siodmak, Billy Wilder, Fritz Lang, Max Ophüls, Anatol Litvak, and others with the wider social and cultural debates about the city in cinema. About the Author&colon; Alastair Phillips lectures in film and television studies at the University of Reading, UK.